Consumers are increasingly worried about what they eat and drink. One of the main concerns is if there are antibiotics present in milk. I, and dairy farmers in the U.S., can guarantee that there are NO antibiotics present in the milk we buy from the grocery store. How? Let me tell you. The FDA has strict rules about antibiotic residues, because of this milk is tested multiple times. At the farm and on the truck. If there are even trace amounts of antibiotics found on one tractor-trailer of milk, the entire truckload will be discarded. If this happens the farm has to pay upwards of $10,000 for the discarded milk. There is also a time period where the milk at the farm will not be picked up until the FDA has inspected the farm and ran tests. So antibiotics in milk is detrimental to one farmer’s bank account, but also to their reputation and to other farmers. Most tractor-trailers transport milk from multiple farms, so it’s not just one person’s livelihood being thrown away, it’s multiple. This is incentive for farmers to test their own milk at the farm and follow protocol to prevent antibiotic residues. There are also protocols on individual dairy farms that prevent antibiotics from getting in our milk supply. Detailed records must be kept so that all employees know which cows are receiving antibiotics. Those cows are then milked into a separate tank, sometimes called a dump tank, for a specific period of time. That time frame is called the withdrawal period, or how long it takes medicine to leave an animal’s system. All farmers follow the posted withdrawal period to make sure that the antibiotic is completely out of their system before they put the milk in the regular tank. Some farmers even wait a few more days just to be safe and then run a test to check for antibiotic residues. Dairy farmers drink the milk the produce, just like you do, so they want it to be as safe as possible for their families and yours. You may be wondering if it is so much work, time and potential money why even use antibiotics. Well because farmers love their cows and want them to be happy and healthy If you or your child is sick what do you do? Usually you go to the doctor and get antibiotics. Why? Because you don’t want to be sick anymore. The same is true for these cows. The dairy farmer would much rather put in the effort to milk into separate tanks and test for antibiotic residue than see their cows in terrible pain from a treatable disease. One common disease that occurs in dairy cattle is mastitis. Mastitis is an inflammation of the mammary gland in the udder, typically due to bacterial infection. The only way to treat mastitis is through antibiotics. Respiratory diseases are also common and can be fatal if left untreated. You don’t have to worry about antibiotics being in the milk we buy from the grocery store, the FDA and dairy farmers make sure that’s not a problem. Feedlots are depicted as gross, dirty, small and dangerous. That is not the case at all.A feedlot is a type of animal feeding operation, or AFO. Feedlots actually allow for 125 to 250 square feet of space per animal. This may not sound like a lot, but cattle are gregarious animals. They enjoy the company of other animals. Even cattle in large pastures will group together. Here are some numbers that a farmer who runs a concentrated animal feeding operation calculated. New York City, NY spans 302.64 square miles and is home to 8,405,837 people which equals 27,775 people per square mile. Manhattan, New York spans 22.96 square miles and is home to 1,626,159 people which equals 70,825 people per square mile. The feedlot portion of her farm spans 0.156 square miles and is home to 2,772 bovines which equals 17,769 cattle per square mile. Cattle are more confined in a feedlot than they would be in a pasture, but that does not automatically mean that they are unhappy and unhealthy. Feedlots are used to help cattle put on weight quickly. At feedlots cattle are fed grain with varying levels of protein that are adjusted over time. The lowest level of protein and grain is fed when the cattle first come into the feed yard. This provides the cattle’s digestive system with time to adjust to their new diet. This is necessary, not because grain is bad for a cow’s diet, but because completely changing a diet in any animal, including humans, can be unhealthy. This type of diet allows the cattle to grow quicker than if they had lived off grass for the rest of their life. This provides for the delicious marbling that we love in our steaks. How is this possible? Because “..we focus on providing a readily digestible, high-energy diet; reducing the amount of energy expended to find food, directing more toward growth, and managing the cattle to minimize stress and health problems,” explain Ryan Goodman, in his blog. The cattle that come to feedlots come from green pastures. That means that all cattle are grass-fed at one time, they just are not finished on grass. Cattle are not abused at feedlots, they are actually cared for extremely well. In feedlots there are cowboys whose only job is riding around and checking each pen multiple times a day. This means that cattle in feedlots are constantly being looked at, so if any problem arises it is easily noticed and fixed. Some people might even argue that cattle are treated better in feedlots, because they have constant supervision and care. I have personally seen many feed yards, mainly out west, that proved to me they’re similar to other farmers and ranchers; they care for their cattle every day, no matter the weather. If you are interested in touring a cattle feedlot, feel free to contact me and I will put you in contact with someone that can help. Or you can visit this website for a virtual tour! After seeing the truth about feedlots, first-hand or virtually, I hope you better understand why and how they are used. Just because there is a higher concentration of animals does not mean that abuse occurs. Four generations, two percent and fifty-eight. These are all numbers that apply to the agriculture industry. How so? Four Generations: Most people are four generations removed from the family farm. This means they are not involved in the day to day operations of raising or growing food. Two percent: Only two percent of Americans are farmers. This means that 98% use a farmer every day, but they probably do not know one. This combined with the average person being four generations removed from the farm raises issues where people could have unanswered questions about their food. But they don’t know how to get their questions answered because they do not know a farmer. Fifty-eight: This is the average age of most farmers in the United States. While that is not old by any means, they are not the people most commonly sharing what they’re doing on social media. These numbers are just a few of the reasons we should advocate for agriculture. Now what is advocating for agriculture? Well it might be easier to explain what it is not. It is not bashing organic, conventional or even vegetarianism. It is not telling people they are stupid because they do not understand or agree with you. It is not just blindly sharing articles and statuses without reading or responding. 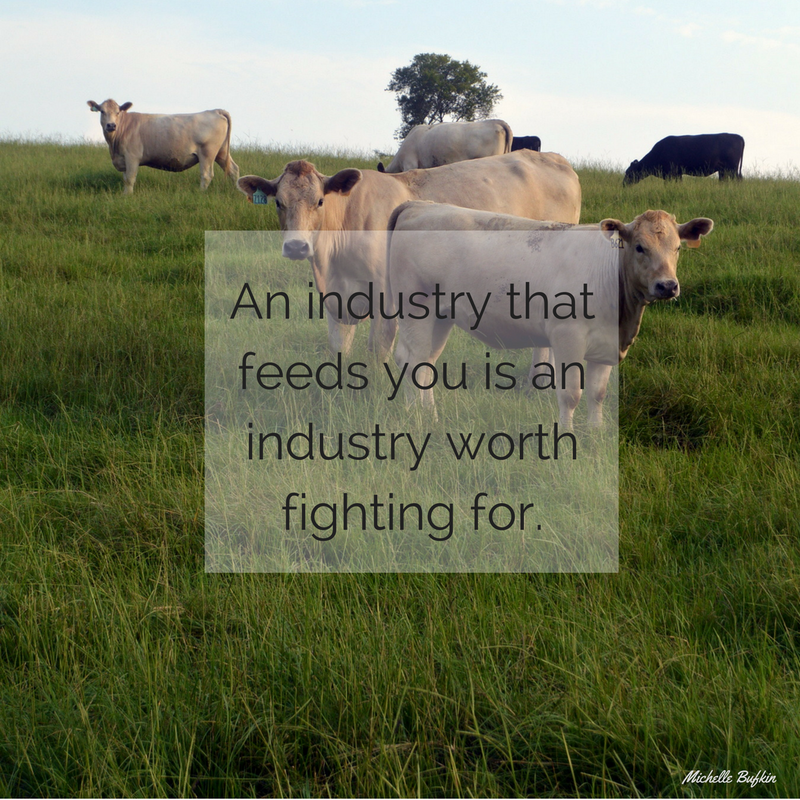 It is not you marketing your farm, ranch or brand. issues (like subway’s antibiotic free statement). Being aware of what is being said about the industry and explaining why you do what you do. A picture is worth a thousand words. Pictures better illustrate the truth of what is happening on your farm. A picture inside your hog barn, showing the cleanliness. A video of you moving cattle to show that it’s done humanely. Share a status about why antibiotics are used on your farm. Allow people to get involved in your everyday practices. I’ve seen farms ask people to name calves through social media, people love that because they feel important and valued in the process. Invite people to your farm, be willing to be transparent and honest. The most important part of advocating is like Nike says, to just do it. There are lots of anti-agriculture groups out there that are bashing agriculture. We need to start standing up for ourselves. The next most important part of advocating is to not bash other farmers or non-farmers, we have plenty of others doing that for us. People are curious about where their food is coming from, be willing to intelligently, honestly and transparently answer their questions. Join the conversation and share the truth about the agriculture industry. 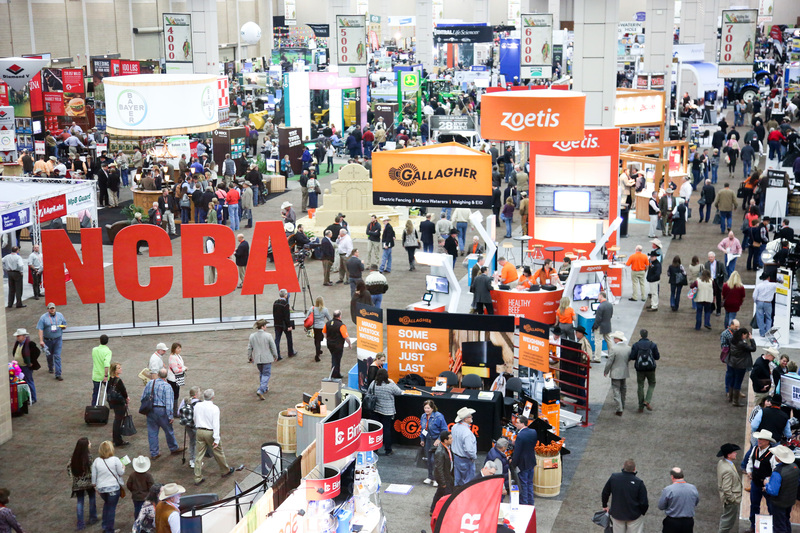 Not sure what to think about the Cattle Industry Convention & NCBA Trade Show? Well here are just a few of the important things you should know about one of the largest events in the beef industry! The Cattle Industry Convention is the oldest, largest, national convention for the beef cattle business. This year is the 118th Cattle Industry Convention & NCBA Trade Show. NCBA, in case you aren’t sure, stands for National Cattlemen’s Beef Association. Some highlights for this years convention are Chef Robert Irvine, Cattlefax outlook seminar, Former Navy Seal Robert O’Neil, PAC Party on the Pacific with live auction, Cowboy Concert series featuring Martina McBride, Red, White and Brew after party and other educational, entertaining and fun events. The trade show and majority of meetings will be held at the San Diego Convention center located downtown San Diego, California. The convention will take place from January 27-29, 2016. The convention attracts 7,000 – 8,000 producers from around the country annually. The Trade Show has 350 companies that will have exhibits set up on 250,0000 square feet. For those of us who think better in acres, that is over 6 acres of companies there for you! There is a learning lounge, which is an education area on the show floor. Also a Demo Arena will be set up featuring Stockmanship and Stewardship sessions daily. Alright now that you are super excited to attend this amazing convention to learn more about this industry that we so love, you’re wondering how to get there. Well I’ve got you covered! You need to register at www.beefusa.org before January 4th (for the early registration price), but you can also register onsite. So what does your registration include? 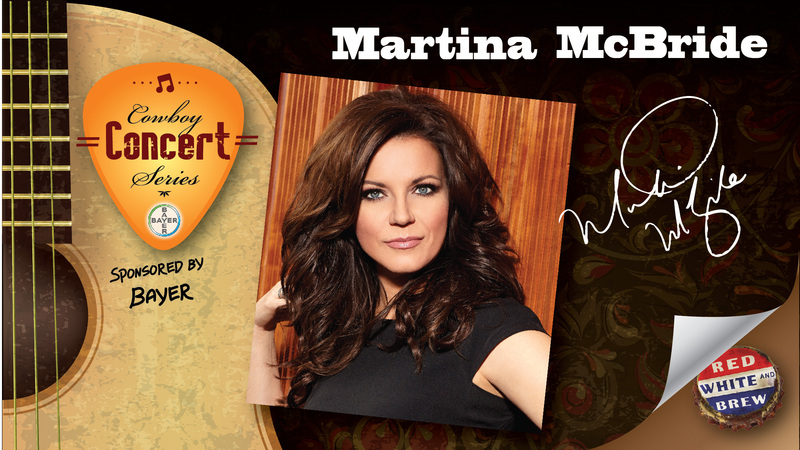 Access to all general sessions, entrance to trade show, access to all meetings, a ticket to Best of Beef Breakfast, a ticket to Cowboy Concert Series (with Martina McBride!) and Red, White & Brew after-party, and a ticket to the USO show aboard the USS Midway. If you are interested in attending this convention feel free to contact me for a promotional code that will provide you with an awesome surprise! Don’t forget to follow NCBA on social media to keep up with #beefmeet and #cic16 Facebook, Twitter and Instagram. Hope to see you in sunny San Diego!